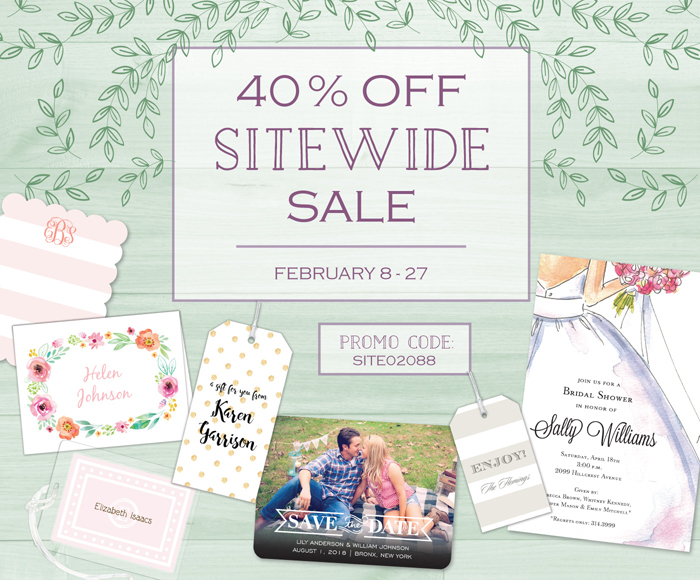 Shop our PrintsWell Site for custom stationery from your favorite designers including Stacey Claire Boyd, Sweet Pea Designs, PicMe! Prints, Take Note Designs and more! Now through 2/27/18, save 40% on EVERYTHING. CLICK HERE to shop our PrintsWell Stationery site.